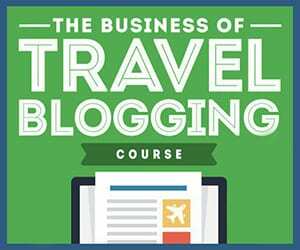 On the small Hawaiian island of Molokai, home to less than 7,500 people, there is only one hotel for visitors to stay. On the island you can also stay at a lodge, go camping or rent an Airbnb. 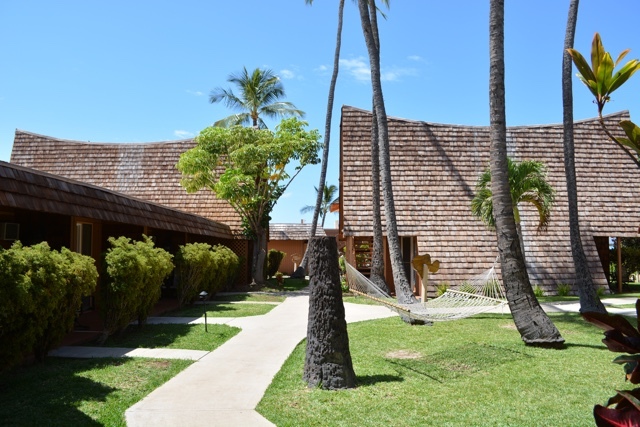 But if you want to live that hotel life Hotel Molokai is your one and only option. When I visited this past year, it is exactly where I stayed. 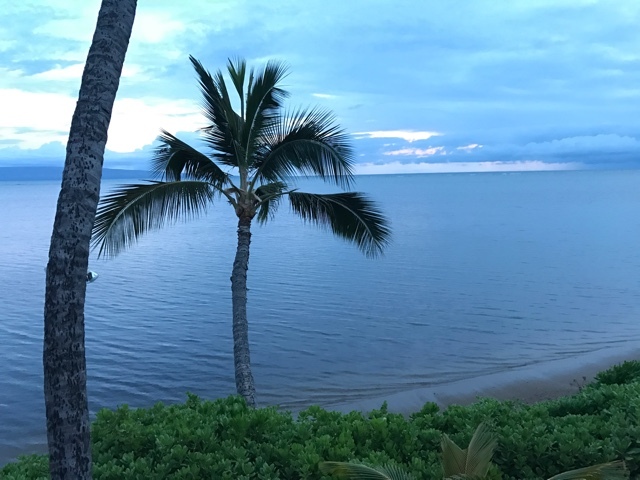 Here is my review of Hotel Molokai in Molokai, Hawaii. When visiting Molokai if you want to get around the island you are going to want to rent a car. Hotel Molokai also offers a shuttle for a fee depending on the destination if you require an airport pickup, want to have a few drinks in town or want to attempt to get around without renting a car. I highly recommend renting a car though so you can explore the whole island. 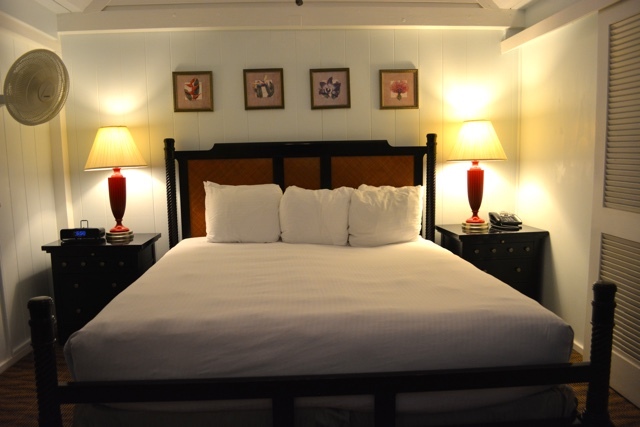 The hotel offers various types of rooms for you to stay in including wheelchair accessible accommodations. Some rooms are your basic motel type room and others feature kitchenettes if you want to cook for yourself. 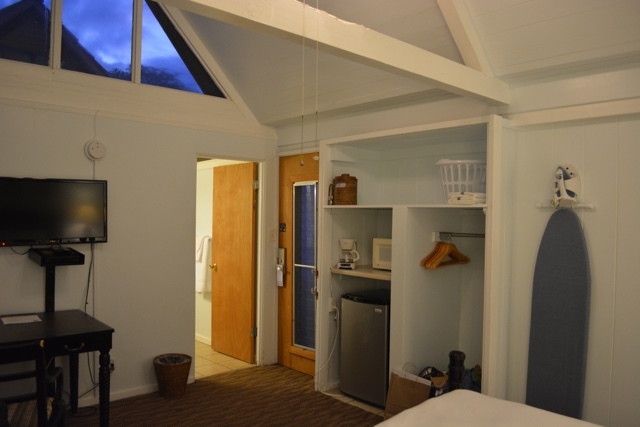 There are also guest rooms with private lanais overlooking the pacific ocean and the Hawaiian island of Lanai. Various amenities are available on site like washing machines, free parking, a pool, tour desk, hammocks and a newly opened restaurant called Hiro’s Ohana Grill. 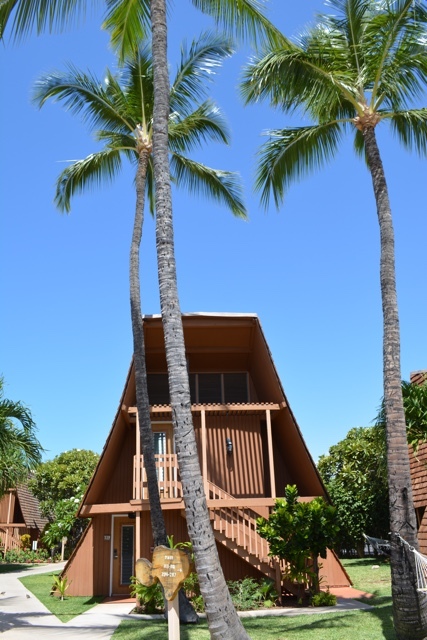 Molokai is known as the “most Hawaiian” of all of the Hawaiian islands and the hotel reflects that with lots of Hawaiian charm and style. 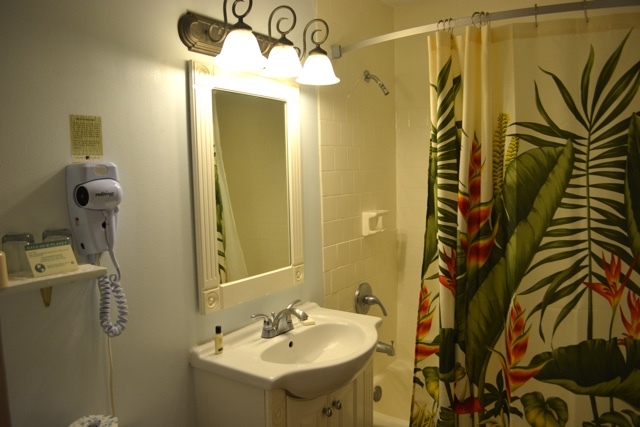 Down to the Hawaiian flowered shower curtain and all. While staying there I lucked out and had an Oceanfront room with a King sized bed. The room didn’t have an AC unit but it did have a ceiling fan, a fan on the wall and a sliding screen door to let in the warm ocean breezes but not the bugs. My room was located on the second floor which gave me a great view over the ocean for sunset. Not many rooms at the hotel have ocean views but the pool area is a perfect location for watching sunset as well. While my room didn’t have a kitchenette in it it did also come with a microwave, coffee maker and large mini fridge. The room also included typical amenities like a flat screen TV, desk area, etc. The restaurant on property, Hiro’s Ohana opened in July 2017 after my stay however you can see the menu and learn more about it on their Facebook page. They are currently open from 11am to 9pm serving lunch and dinner. For breakfast options for hotel guests there are a couple cafes in Kaunakakai town about a 5min drive down the road. Hotel Molokai isn’t a fancy 5 star Hawaiian resort with all-inclusive options, a spa and fancy luaus. But for being the only hotel on the whole island it is pretty great for what it is and what they have available for being so secluded. Thank you for Molokai Visitors Bureau for having me. As always all opinions, views are my own.